Pop. 22,000. City in Reg. Mun. 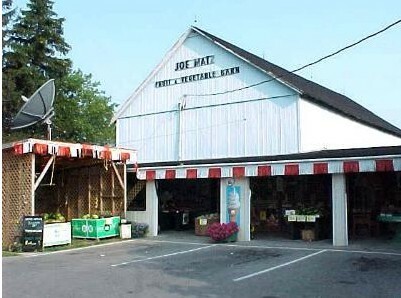 of Haldimand Norfolk formed in 1974 through amalgamation of the towns of Port Dover and Waterford and the village of Jarvis and the annexation of parts of Rainham, Townsend, Walpole, and Woodhouse Ts. Pop. 16. In Walpole T., Reg. Mun. of Haldimand-Norfolk on Nanticoke Cr. and Hwy 6 between Hagersville & Jarvis, 39 km SW of Hamilton. Pop. 1,710. Part of the City of Nanticoke, Reg. Mun. of Haldimand Norfolk, on Hwys 3 & 6, 17 km NE of Simcoe. Pop. 157. In the City of Nanticoke, Reg. Mun. of Haldimand Norfolk, on Nanticoke Cr. and C. Rd. 9, 8 km NW of Simcoe. Pop. 48. In Walpole T., Reg. Mun. of Haldimand-Norfolk, part of the City of Nanticoke just N of C. Rd. 3,28 km W of Dunnville. In Rainham T., part of the Town of Haldimand in Haldimand-Norfolk Reg., 18 km SE of Dunnville. Pop. 425. Part of the City of Nanticoke in the Reg. Mun. of Haldimand-Norfolk, on C. Rds. 3 & 53, 2 km. N ofthe N shore of L. Erie and 56 km. S of Hamilton. Pop. 2,364. Part of the Town of Haldimand, Reg. Mun. of Haldimand-Norfolk, on Hwy 6 and C. Rd. 20, 37 km SW of Hamilton. The town is named after the first settlers, Charles and David Hager, who arrived in 1842 and built a hotel. Pop. 104. In Tuscarora T., Brant C. between C. Rds. 20 & 29, 26 km. SE of Brantford. Part of the Six Nations Indian Reservation established in 1847 for the Mississaugas of the Credit River. Pop, 24. Part of the Town of Haldimand, Reg. Mun. of Haldimand-Norfolk, on Hwy. 3, 27 km NE of Simcoe. The post office opened here in 1851. Pop. 288. Part of the Town of Haldimand, Reg. Mun. of Haldimand-Norfolk, on C. Rd. 12,6 km S ofHwy 3, 37 km NE of Simcoe. Pop. 80. Part of the Town of Haldimand, Reg. Mun. of Haldimand-Norfolk, 21 km NW of Dunnville.